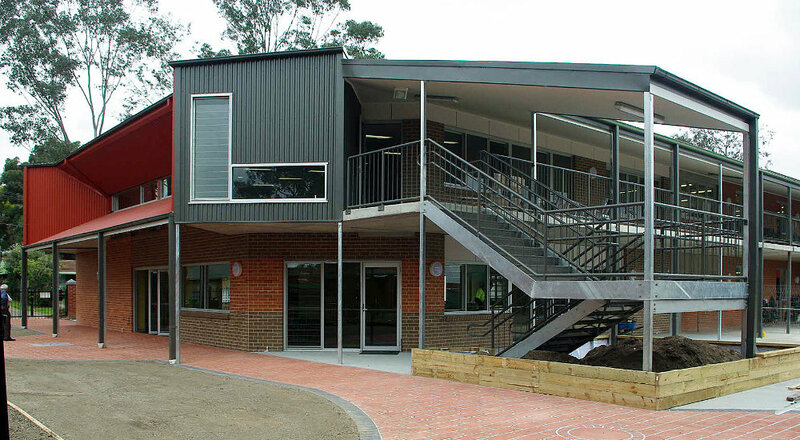 Project Description: The building is a face-brick two storey extension to an existing building providing new open learning spaces at each level. Engineering: MEC were engaged for the structural engineering in September 2009. In order to provide column free space at ground floor the suspended structure incorporates post-tensioned concrete band beams supporting a reinforced concrete slab. The roof structure is steel framed and provides open space also at first floor.